Port Isaac is an old unspoilt fishing village, on the coast of North Cornwall. From the Middle Ages until the middle of the 19th century, Port Isaac was a busy port handling various imports and exports, including stone, coal, timber and pottery. After the advent of the railways, it became principally a fishing port. The natural harbour still accommodates an active fleet of boats, and the coastline, stretching for miles either way, is an area of outstanding natural beauty. In the centre of the village is the Platt, where the fishermen land their daily catch of crab and lobster. It is currently one of the leading shell fishing ports of the West Country, its peculiar speciality being the lobster and spider crab. Large quantities are exported every year to France and Spain. Port Isaac’s harbour is one of the most exposed on the North Coast and its small but modern fishing fleet has received some protection from its two breakwaters, which were built in the 1920s. The Eastern breakwater takes the brunt of the pounding from the open Atlantic and has been badly in need of repairs for many years. Not only do the breakwaters give some protection to the boats, they also protect the village itself although at Spring tides the bottom of the village does still flood occasionally. 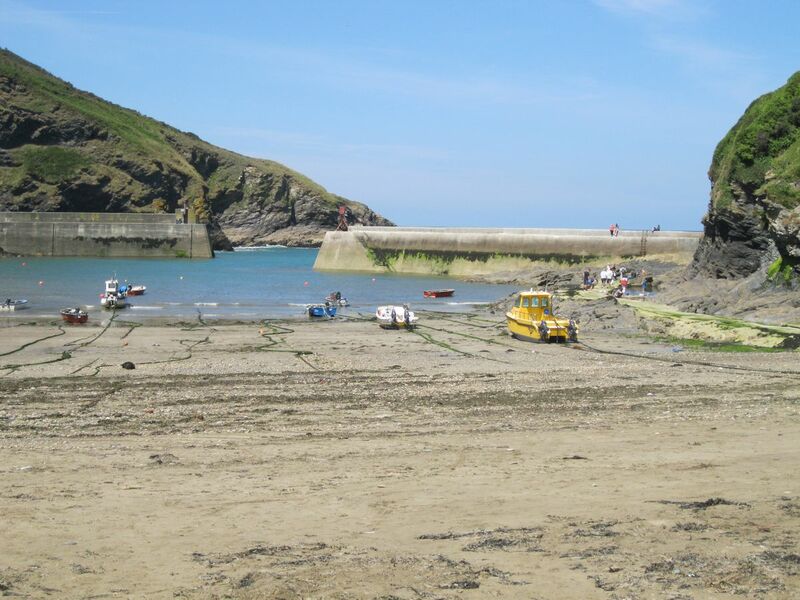 After many years of trying, the Port Isaac Harbour Commissioners recently secured funding to carry out essential renewal works to the Eastern breakwater, which are now complete. The project has been funded by a number of agencies and organisations including: Objective One, DEFRA, Cornwall County Council, North Cornwall District Council, St Endellion Parish Council and Port Isaac Harbour Commissioners, to a sum in excess of a quarter of a million pounds. Access to the small harbour should only be attempted in calm conditions. There are a few moorings available for visiting leisure craft.